The premise of this book is most intriguing. One that could inspire any writer to craft a dozen or more stories, novels, or characters. Published in 1987, this was once a book I reshelved time and again when I was a Page at the Library I work at. Something about the cover and the book captions piqued my curiosity. The thing is Dinah Sachs knows nothing about Asa’s youth, and the story she tells is one she imagines to explain the man she knew. This reconstruction of Asa’s early life serves as a sort of theraputic exercise in overcoming the devastation of a relationship’s end. It also suggests how we often create idealized constructs of the people in our lives who are our friends or lovers. But who are they really? Dinah’s need to tell this tale of Asa is bittersweet. Her imagined story of Asa’s youth is an interesting and plausible one, but is she trying to place Asa on a pedestal or tear him down off one she has already created? Readers can draw their own conclusions. 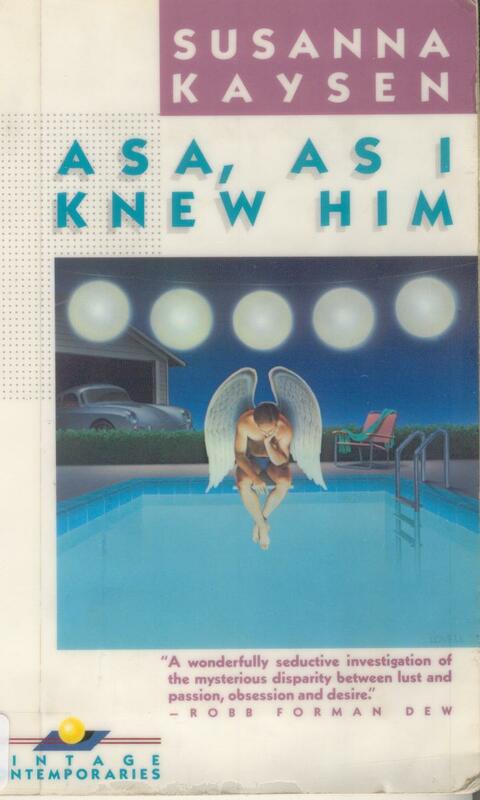 In the last chapter, we are, perhaps, given a look at Asa from his own viewpoint in the present. This book has stayed with me long after reading it. In particular, it makes me wonder about the “stories” that shape the people we meet in life and what stories they can inspire us to write.